men and women was a smashing success. 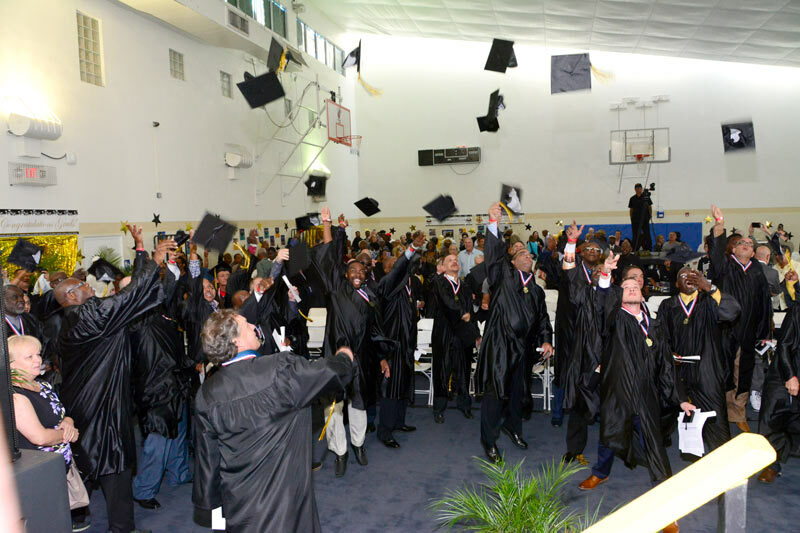 On Saturday, March 17th, 56 formerly homeless men and women graduated from the Miami Rescue Mission | Broward Outreach Centers in a cap and gown ceremony held at the Miami Community Activity Center. Hundreds of family members and friends were in attendance. The graduation marks a milestone in what has become a miraculous redemption for so many formerly homeless individuals. The theme of this graduation was We Will Rise and the graduates of 2017 have proved that to be true. These brave men and women have been through truly challenging experiences in their formerly homeless lives and despite this, have come out on top — transformed and ready to take on the world. The ceremony was opened in prayer by Metro Life Church’s Pastor Chris Alessi, congratulating each for their walk in faith and belief in rising for themselves, God and their families. Jonathan, Honored Graduate, who spoke at the ceremony. Following Pastor Alessi were several testimonies from formerly homeless graduates who chronicled different struggles — drug and alcohol abuse, domestic violence, economic strife, lack of education and family support — each fighting to put their lives back on track with the help of MRM, a non-profit organization aimed at providing supportive services to over 1,300 individuals daily through food, shelter, clothing, education, job training, spiritual counseling, health services, youth programs, housing and long-term rehabilitation. 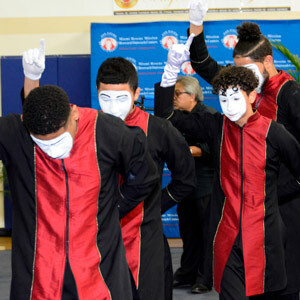 There was also a dance number by MAS QUE VENCEDORES (MQV) Dancers who had the crowd on their feet with hands raised by a story told through dance and mime. They performed "Never Would Have Made It" in following the theme of "We Will Rise". 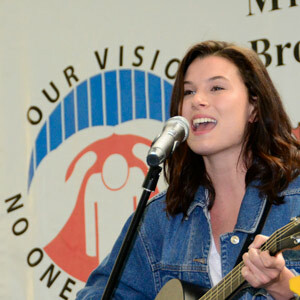 Stephani Alessi of Metro Life Church performed a beautiful song — "I Will Rise" during which the crowd joined along in praise and celebration. 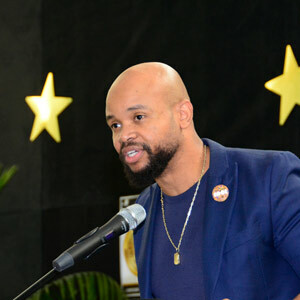 The challenge message was given by Pastor Terrence Wilson of Trinity Church, who encouraged the graduates to continue their new lives and to fight the tests of life which are to come. The Directors of the Miami Rescue Mission | Broward Outreach Centers along with the Board of Directors helped pass out the diplomas to all the graduates. 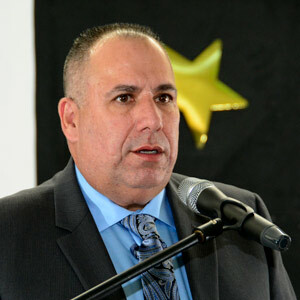 Claude Delorme, Executive VP of Operations and Events of the Miami Marlins, as well a Home Run Team Mentors gave each graduate their diploma. The final blessing and prayer was given by Rev. 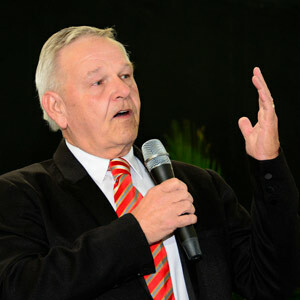 Ronald Brummitt, President and formerly homeless many years ago. 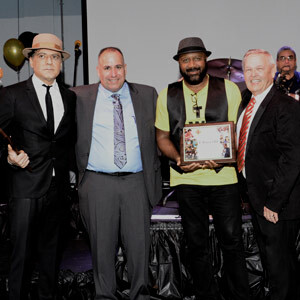 Following the ceremony graduates, staff, volunteers, donors, and loved ones mingled at a lovely reception featuring the fun and awesome musical groups, “Jack Crooner & Miami Blues Band" and T-Wave HD — "South Florida's Caribbean Party Band.”. It was a truly joyous time full of laughter and celebration. Refreshments and food were prepared by chefs Alli and Bel, from Back Alli’s Catering. They provided amazing food and dessert. The graduates of Miami Rescue Mission | Broward Outreach Centers are looking forward to the next chapters of their lives. Many have already moved on to safe and affordable housing and have jobs. The most recent graduates are now looking for those next steps. The Miami Campus has served the homeless and needy since 1922. The administration offices, Center for Men, Center for Women and Children, Jeffrey A. Tew Education Center, Community Activity Center-which provides out of school and summer programs for children, Food Warehouse, Health Clinic, and Thrift Stores are located in a three block area off NW 1st Ave. and NW 20th Street. The Centers offer emergency and residential programs. An additional building houses 78 men and has a conference center. The combined Centers provide 390 beds for residential and emergency services. The Hollywood Campus was opened in 1997 after serving the homeless and needy of Broward beginning in 1992. It was the first center in Broward to offer comprehensive programs for the homeless. The Hollywood Campus has 128 beds for residential programs and 18 emergency beds to serve men, women, and children. It is located at the corner of Scott Street and Old Dixie Highway, near Sheridan Street. The Pompano Beach Campus was opened in 2002 and has 200 beds for residential programs and 20 emergency beds to serve men, women, and children. The campus is located in the northern part of Broward County near Copans Road. Men, women, and children are served as well as a special program to engage the chronic homeless.